My Country Roads: Wild and Wonderful : Fairy HobMother.. Communion Dress.. Wishlist.. etc..
Fairy HobMother.. Communion Dress.. Wishlist.. etc..
Hey, hey, hey, good morning beautiful people in the blogland! I was ecstatic when I received an email from the all time favorite and well-known Fairy Hobmother in the blogosphere. I have been commenting on blogs that was sprinkled by his magic fairy dust and so glad that the Fairy Hobmother finally visited my blog. So what's the frenzy (in a good way) of getting visited by the Fairy Hobmother? Well, you will be showered and rewarded with a prize that you can spend to buy one of the Tumble Dryers or anything that you want to buy at the appliances specialist website. I don't need any appliances right now so I think I will be using my reward for something else. I just received the communion dress that my daughter is going to wear in May and I need a pair of shoes and a veil for it so I might use the Fairy Hobmother's reward to purchase them. I have these items on my wishlist at amazon so hopefully I could get them in time. Wondering how to get in touch with the Fairy Hobmother? It's simple, all you have to do is leave a comment on this post and follow the Fairy Hobmother in Twitter and let him know that you are a fan! Thanks a lot Fairy Hobmother! wow! congratulation. you are so fortunate that Mr. Fairyhob visited you. I love your daughter's outfit and that pretty white shoes too. That was awesome! I would love to make Fairyhobmother to visit me again! Anyway, love the dress and shoes, she looks so cute in it. That's a very lovely dress mare! Dalaginding na si Riley! Congrats to you for having such a wonderful daughter and for accommodating the joyful Fairy Hobmother. nice dress.. it looks good on her.. you're lucky that the fairy hobmother visited you.. been flowing him but to no avail.. I hope he will make me smile one of this day..
your blessed that the fairy hobmother has visited you. lovely girl indeed. Congratulations sis! was visited by the Fairy Hobmother last year and my family has already enjoyed his gift! we all love it, especially the boys. i know you will soon get your wishlist. Congratz Rose! It's well worth the wait, yeah? And Ms. Buritto is such a doll! She looks so lovely in her white dress. I love this adorable communion dress. I have never heard of Fairy Hobmother but bought my daughter's dress at http://www.dressedinwhite.com/index.php/children/dresses.html and was very happy with it. your daughter is really so beautiful Rose, and love your choice of dress, it looks so good on her, love her shoes too. 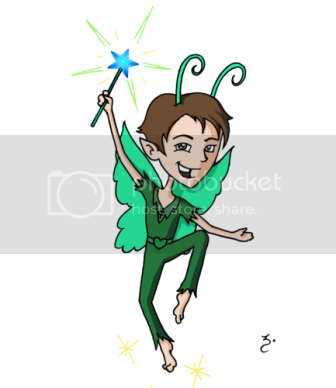 congratulations for being visited by Fairy Hobmother. I guess our daughters are almost of same age. Anyways, it's on my blogger's wishlist too to be visited by Fairy Hobmom. Congrats sis. Congratulations too to little Miss Burrito for her communion. She looks very lovely on those getup. How they didn't make nice dresses like that during my time?!? Yey! Glad Fairy Hobmother sprinkled some of his generosity here and the choices for Ms. Burrito is sooooo pretty. Congrats for being one of those lucky individuals that Fairy Hobmother visited. congrats too to your lovely daughter on her forthcoming communion. I hope to get visited by the Fairy Hobmother. Rylie is so adorable wit her white dress.. I wish fairy hobmother would drop by one of these days.